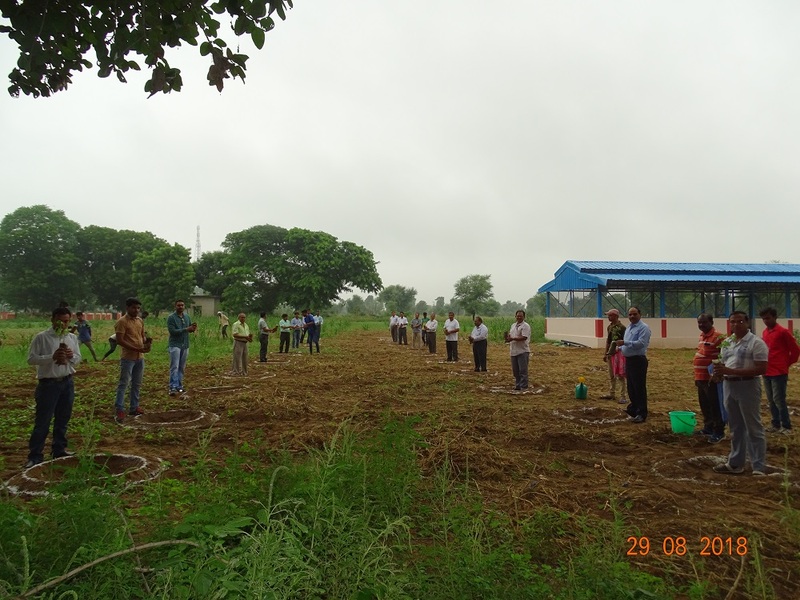 As part of fodder and other tree plantation drive, ICAR-CSWRI, Avikanagar organized a Moringa plantation at its Sirohi goat sector of Division of Animal Genetics & Breeding (AGB). 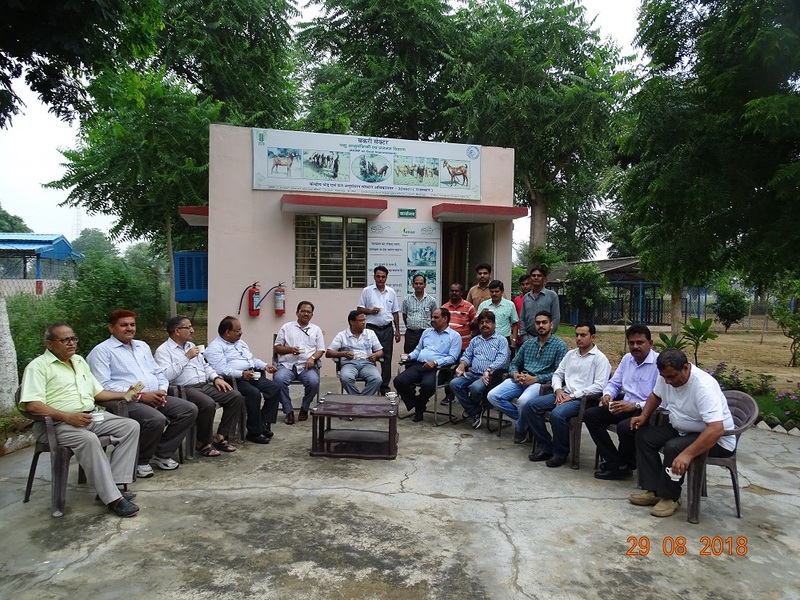 On this occasion, Dr. A. Sahoo, Head, Animal Nutrition acted as chief guest accompanied by Dr. Arun Kumar, Director, ICAR-CSWRI, Head/Incharges of various Division/Sections and staff and other personnel working in the Institute. A total of 101 Moringa saplings have been planted. Moringa, now a days referred to as ‘miracle tree’, ‘super food’ etc., is an excellent fodder source for animals, especially sheep and goats because it is considered as storehouse of important vitamins, minerals, amino acids, bioactive compounds, protein etc. Moringa feeding has been found to improve feed conversion efficiency, growth performance, health and quality of different products in several livestock species. Moringa is said to provide 7 times more vitamin C than oranges, 10 times more vitamin A than carrots, 17 times more calcium than milk, 9 times more protein than yoghurt, 15 times more potassium than bananas and 25 times more iron than spinach. It is a fast growing, drought resistant tree and suitable for low rainfall areas to meet a portion of the fodder scarcity for livestock. 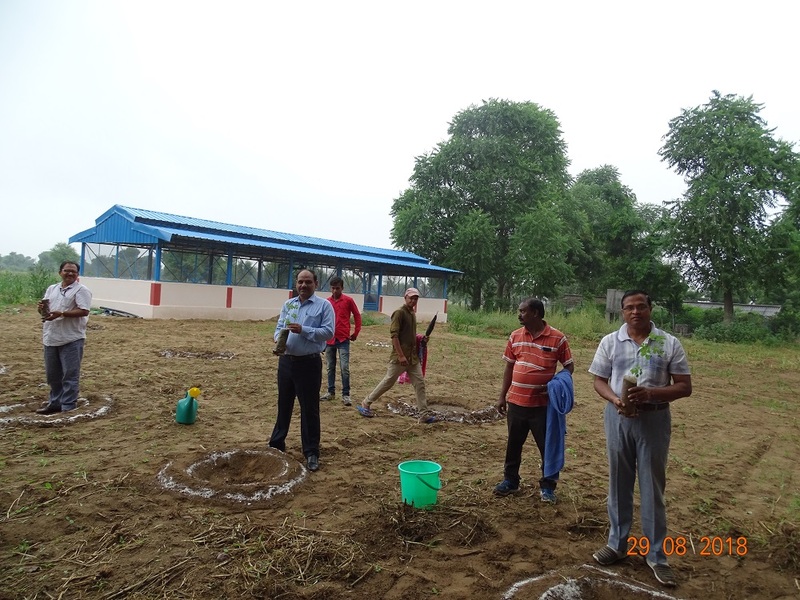 Saplings of other fodder sources like Dhaincha (Sesbania sesban), Agasti (Sesabania grandiflora), Koyala/Aparajita (Clitoria ternatea), Neem (Azadirachta indica), Babul (Acacia nilotica), Subabul (Leucaena leucocephala), Jackfruit (Artocarpus heterophyllus), Kundru (Ivy gourd; Coccinia grandis) etc. have been planted at goat sector. Other sheep sectors of the Division have also planted more than 500 trees of different varieties like Neem, Sahjan, Babul, Jamun etc. This year around 2500 trees have been planted in ICAR-CSWRI, Avikanagar campus till August, 2018.